Rakesh Kumar, Rajlaxmi Mundhra, Anand Jain, Suchitra Jain. Background: Late intrauterine fetal death (IUFD) and stillbirth are a cause of concern and not widely reported though it contributes a large chunk in perinatal mortality. It is a traumatic experience for the family and obstetrician. If the cause of fetal deaths can be ascertained, preventive strategies can be formulated. Objectives: This study was done to estimate the incidence and suspected causes leading to IUFD and stillbirth. 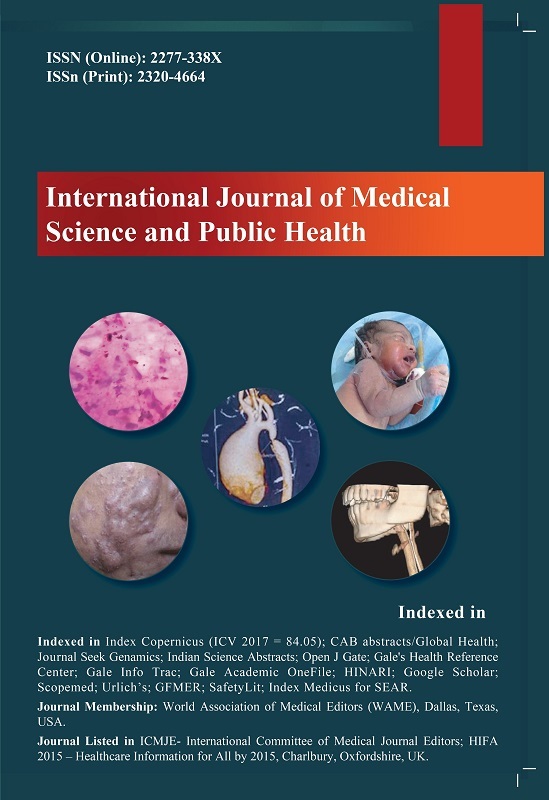 Materials and Methods: The present study was conducted in the Department of Obstetrics and Gynecology of Veer Chandra Singh Garhwali Government Institute of Medical Science and Research (VCSGGIMS&R) and RI and its attached hospital. Retrospective data of all the cases of IUFD were recorded in a predesigned performa from for April 2016–March 2017. Data was compiled and analyzed statistically using simple statistical measures such as percentage and proportions. Results: The incidence of stillbirth in our study was 24.8/1000 live birth. Among all factors responsible for IUFD, hypertensive disorder of pregnancy was present in 14 (18.42%) of the patients; placental abruption was present in 10 (13.2%) cases. In 28.95% of cases, no apparent cause of IUFD could be ascertained. Conclusion: Poor socioeconomic background, illiteracy, and late seeking of antenatal care are the predisposing factors for IUFD. Many of the causes of intrauterine deaths are preventable such as placental abruption, hypertensive disorders, and diabetes which can be avoided by proper antenatal care. Early detection of high-risk pregnancy and timely referral to equipped center will help in decreasing IUFD.